Hip replacement surgery is an invasive procedure. The hip is one of the largest joints in the body, made up of a ball and socket. 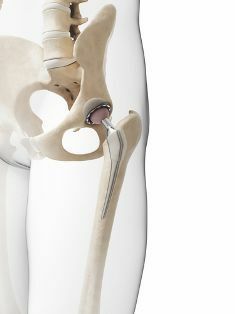 In a hip replacement, an orthopedic surgeon replaces both parts using metal, ceramic or plastic parts. Patients typically must stay in the hospital for a few days after the procedure and then later undergo physical therapy. There are also additional health risks associated with the use of anesthesia. After a patient endures the pain and stress of the hip replacement process, he expects to move on with his life with increased mobility and little pain. For many patients who underwent a hip replacement surgery with a Stryker Corporation hip implant, this was not the case. Lawsuits have been filed alleging the implants cause infection, tissue damage, and dangerous blood issues. Stryker Corporation, a medical technology company, began marketing the Rejuvenate and ABG II hip implants as devices to give surgeons and patients greater flexibility and increased personalization in hip replacement surgery. Unlike many other implants, these lines offer a number of different stem and neck pieces, allowing the surgeon to design an implant that best fits the patient. Stryker claimed they offered more stability and better range of motion in long-lasting devices. The implants are made of a titanium alloy blend unique to Stryker. Patients and families filed lawsuits against Stryker, alleging that the company produced and marketed a dangerous product. They also claim the company failed to adequately warn the public of the possible risks associated with the implants. Drug and device manufacturers are required by law to disclose any possible complications. The company has settled a number of lawsuits already, and compensation is available to patients with the Rejuvenate or ABG II hip implants who had revision surgery. If you or someone you love has suffered complications or had to have multiple surgeries because of the Stryker hip implants, the experienced legal team at the Tapella & Eberspacher Law Firm may be able to help. Fill out our contact form to discuss your unique case.